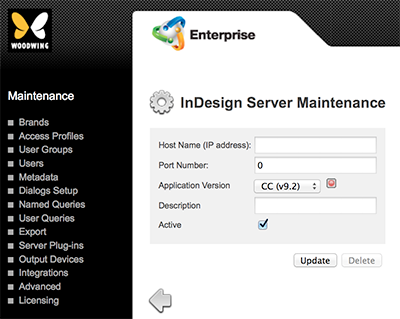 The InDesign Server Maintenance page in Enterprise Server 9 is used for setting up an instance of InDesign Server, used for processing InDesign Server Jobs. Step 3. Click an existing InDesign Server instance or click New InDesign Server. The InDesign Server Maintenance page appears.